Try this community builder as a way to help your young people experience cooperation and teamwork. This activity may be done indoors or outdoors. You will need five hula hoops and about 50 tennis balls (or some similar object — I suppose you could use rubber chickens if you really wanted to!). Mentally plot out about a 25 foot square playing field. 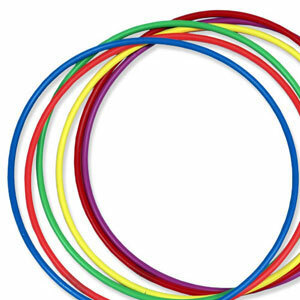 Place one hula hoop in each corner with the fifth hula hoop placed in the center of the playing area. Pile all the tennis balls inside the middle hoop. Next, divide your group into four teams (perhaps designating each team with the name of one of the first century churches such as Corinthians, Philippians, Romans, Thessalonians). Invite each team to stand together next to one of the four hula hoops in the corners of the field. Share that the object of this challenge is for their team to get all of the tennis balls inside their hoop. The following rules must be followed: 1) You can’t defend your own hoop. 2) All the balls have to be removed from the middle hoop before you can start taking balls from other people’s hoops. 3) You can’t throw the balls. Give them a minute or so to strategize and then start playing. Now, what will likely happen is that there will be a wild frenzy of passing, grabbing, and stealing tennis balls, all to no avail with no one close to accomplishing the goal. Take a pause in the game and then let rethink their approach in their teams. Play a few more crazy minutes and pause again. This time call the whole group together and invite them to talk with each other about how this could be accomplished. With luck and perhaps a little encouragement from you, they may come to the conclusion that they need to work together. Suggest (if no one asks) that there is no rule against moving the hoops. Eventually they will come to one of two possible “winning” solutions: 1) 3 of the teams agree to “lose” so that one team can accomplish the goal or 2) Put all the balls in the middle hoop and have all teams place their hoops around the middle hoop, thus reaching the goal for every team of getting all the balls inside their hoops. This activity could be followed by a great debrief discussion about why we tend to see activities as competitions first and opportunities for cooperation second. How might this challenge reflect the difference between the values of our culture and the values of God’s Kingdom?